People in some parts of the country could be experiencing flash flooding, sea flooding and damaging heavy swells today. 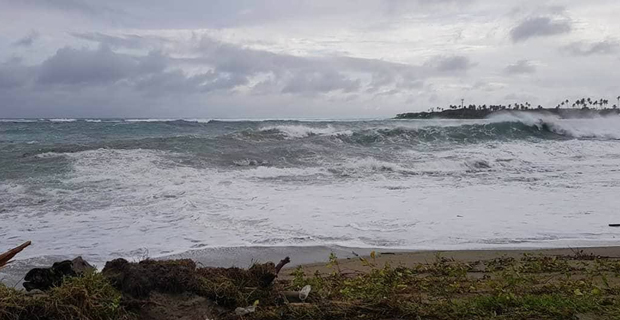 A damaging heavy swell warning is in force for low lying coastal areas of Kadavu, Beqa, Vatulele, Southern Lau group, Mamanuca group, Southern and Western Viti Levu. Southern Viti Levu includes Nadali, Bau, Nausori, Verata and Korovou while Western Viti Levu includes Rakiraki, Ba, Lautoka, Nadi and Sigatoka. It says sea flooding is likely especially during High tide. The next high tide is at 6.07pm tonight. Expect more rain as a trough of low pressure with an embedded low pressure system continues to move into the Fiji group from the west and is expected to affect the group till later tonight. The Nadi Weather Office says this system is bringing associated cloud and rain with strong and gusty winds that are expected to affect the country till later tonight. A heavy rain warning is in force for Fiji group. Periods of rain, heavy at times and few thunderstorms, localised heavy falls may lead to flash flooding of low lying areas. A strong wind warning also remains in force for all land areas in Fiji.